A workshop on residential and commercial solar energy opportunities will be held at the Just Food Community Room (Just Food Co-op, 516 Water Street South, Northfield) from 1:00 to 4:00 pm Saturday, May 19th. The workshop, sponsored by RENew Northfield and the Southeast Clean Energy Resource Teams (SE CERT), will cover currently available active solar technologies, the economics of solar installations, and the experiences of local homeowners and business owners with recent solar projects. Presenters include representatives of three solar energy vendors, who will discuss solar air heating, solar water heating, and solar electric systems for homes and businesses. The head of the Minnesota Solar Energy Industry Association will present an overview of solar energy opportunities in the state, and a Minnesota Division of Energy Resources representative will discuss current solar rebates and financial incentives. A panel of local homeowners and small business owners will talk about their experiences in selecting and working with solar contractors, and the performance of their systems. The solar vendors will have informational displays, and will be available for one-on-one discussion after the formal presentations. Attendees will also be invited to view a nearby solar installation after the workshop. The workshop is free. Pre-registration at http://northfieldsolar.eventbrite.com is encouraged, but not required. For more information, contact SE CERT at mailto:Joe@cleanenergyresourceteams.org. Let’s give a big thank-you to Bob Courchaine at Northfield Internetworking for hosting our site for many years! Bob has made it possible to keep RENewNorthfield.org up and available for all you visitors. He has moved on to bigger things but still does some limited consulting work. We also want to thank Michael Blaha (once of Northfield) and organicarts.org for the design and maintenance of the web site. He made it very simple to navigate and for we volunteers to update. Michael also has moved on from the design work on RENewNorthfield.org. Without volunteers like them we would not have a web site for you to visit. Finally, I want to apologize to those of you who have tried to contact us and have not had a response. Some spammers started attacking our e-mail address and flooded both our host and the forward-to host. I have been able to sort through some of the filtered messages and will respond even if some of the messages are old. So enjoy our new host! We look forward to your visits and hope to provide you with more up-to-date information on RENew’s activities. Northfield EnergySmart BuildingWorks has named Northfield Construction Company (NCC) as its May EnergySmart Partner of the Month. EnergySmart BuildingWorks is an initiative of RENew Northfield, with funding from the Northfield Area Foundation and the Minnesota Pollution Control Agency. NCC was selected as the May EnergySmart Partner of the Month in recognition of the company’s long-standing commitment to building high-quality, energy-efficient homes and commercial buildings to customers’ specifications. Founded in 1972, NCC started as a design-build firm focusing on the construction of churches, and quickly branched out to serve the area’s general commercial and residential construction markets. The company is owned and operated by Ray Cox, with the assistance of about 25 talented employees who work for the company on a year round basis. If you’d like to help protect your family, your budget and the planet from future energy shocks, feel you’ve already taken the energy efficiency and conservation steps you can, but want to go further, plan to attend “Renewable Energy Systems for Your Energy-Efficient Home” Thursday, May 24th from 7 to 8:30 PM in the Northfield Public Library (210 Washington St.) meeting room. The natural gas used to heat your home and water has increased in cost by 567% in the past 30 years (the typical length of a home mortgage). Electricity prices have increased by 269% over the same period. Building energy use contributes about 40% of the anthropogenic carbon dioxide leading to global warming, and future supplies of oil and natural gas are uncertain to say the least. Solar water heating, solar electric, and small wind systems will be discussed in detail. Kurt Koegel of SolarSkies, Inc. (a new solar thermal panel manufacturing firm in Starbuck, Minnesota) will be on hand to answer questions about solar water heating installations, system costs, and more. The workshop will conclude with a visit to a local home with a solar electric system providing its electricity and a solar water heating system in the process of being installed. This is the second in a series of workshops sponsored by Northfield EnergySmart BuildingWorks, an initiative of RENew Northfield and the Northfield Area Foundation. As a follow-up to the workshop, the local installation of a solar water heating system in the first two weeks of June will provide an opportunity for hands-on learning about solar system installation. For more information, contact Northfield EnergySmart BuildingWorks. Northfield EnergySmart BuildingWorks (ESBW) has named Rice County Habitat for Humanity as its March EnergySmart Partner of the Month. ESBW is an initiative of RENew Northfield, with funding from the Northfield Area Foundation and the Minnesota Pollution Control Agency. Habitat was selected as the March EnergySmart Partner of the Month in recognition of the group’s long-standing commitment to building energy-efficient affordable homes. The Rice County chapter is an affiliate of Habitat for Humanity International, which is a nonprofit, ecumenical Christian housing ministry. HFHI seeks to eliminate poverty housing and homelessness from the world, and to make decent shelter a matter of conscience and action. Habitat has built more than 225,000 houses around the world, providing more than 1 million people in more than 3,000 communities with safe, decent, affordable shelter. The local chapter has built 12 homes in Rice County since 1993. 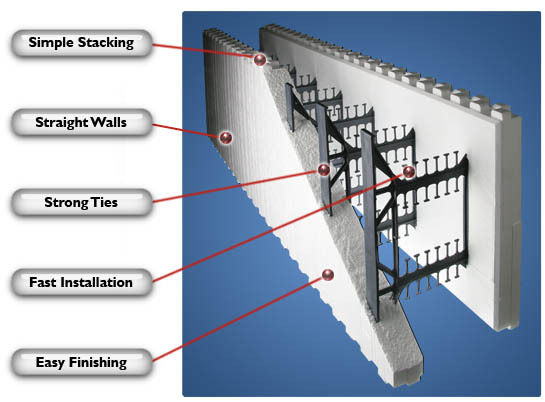 In recent years, all homes have been built using Reward Wall Systems insulated concrete form foundations and sidewalls. Combined with careful sealing of all foundation, wall and ceiling penetrations, quality windows and doors, and a high level of attic insulation, ICFs provide a highly insulated, low air-leakage building shell. Analysis of one recently built Habitat home in Faribault found that it had an extremely low air leakage rate of 0.10 natural air changes per hour. 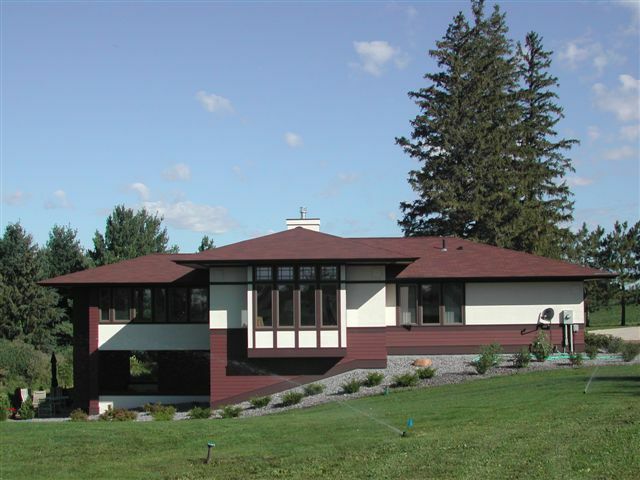 With a high-efficiency furnace and water heater, and heat recovery mechanical ventilation, the home had annual natural gas costs of $435, or about 37% that of the average Minnesota home. Rice County Habitat for Humanity built two homes in one year for the first time in 2006. They are building two homes again this year (one in Nerstrand, and one in Northfield). Homes are built by volunteers in partnership with the owner-occupants. Volunteers are needed for a variety of tasks, and cash donations are also critically important to Habitat’s ongoing work. Details can be found at http://www.habitatricecounty.org/involvement/index.html. The Rice County Habitat case study will be one of four discussed at the March 29th “Building Energy Efficiency 101” workshop at the Northfield Public Library. The case studies will be available online here after the workshop. ESBW will also be at the Saturday March 31 Northfield Home and Garden Show with information on making your new or existing home more energy-efficient. For more information, contact ESBW coordinator Bruce Anderson.